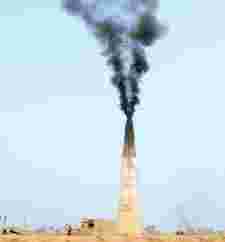 New Delhi: The global economic slowdown could put a spoke in plans to address the issue of climate change. Negotiations on funding for developing and least developed countries on account of adaptation against effects of climate change and transfer of clean technologies will take place next month, under the aegis of UNFCCC in Poland. But the current recession is bound to force attention away from funding, to technology transfer. “What is very clear is that greater emphasis will be on tech transfer, which seems to be one of the areas which has traction, although in Accra, at the last conference, we saw initial reluctance on finance and tech transfers from developed nations," said Ajay Mathur, director general, Bureau of Energy Efficiency, and a member of India’s climate change negotiating team. India’s submission adds, “Clearly the magnitude of funding needs is enormous compared to what is available under the current financial mechanism. The funding committed to GEF (Global Environment Facility, the designated financial mechanism for a number of multilateral conventions to assist countries in meeting their obligations under the conventions) for various funds managed by it, is $1.3 billion (Rs6,461 crore) from 2007-10." The adaptation fund, formed under UNFCCC, is built from a 2% cess on transactions under the Clean Development Mechanism, or carbon credits sold by developing nations to developed nations. The fund is expected to amount to $100-500 million by 2012. “We expect that this has a good chance of reaching consensus. Even in Bali (in Indonesia, where the last significant climate conference was held in December 2007), there wasn’t much opposition to this," said a senior Indian official who did not wish to be identified. Simultaneously, as the submission shows, India believes that a cess, by itself, is not enough. “We first need to define what we need over the next three years. It is a huge task to calculate how much funds we would need to adapt but that is the first step. And just a cess doesn’t get anywhere near what is required," said the same official. Calculating the approximate adaptation money needed, India’s position paper adds, “The UNFCCC has estimated US$200-210 billion in additional investment by 2030 to return GHG (greenhouse gas) emissions to the current level. Additional investment needed worldwide is estimated to be US$60-182 billion in 2030 by UNFCCC...Oxfam estimates this number to be US$50 billion per annum. Not only do these numbers vary widely among themselves, they are a fraction of UNFCCC’s own estimates that peg the incremental cost of addressing climate change at 0.3-0.5% of global GDP or Lord Stern’s revised estimate of 2% of global GDP." Lord Nicholas Stern led the team that published the so-called Stern Review on the economics of climate change on 30 October 2006. The position of the US, which is refusing to make any commitment on GHG emission cuts, is unlikely to change as the Poland meeting will see President George W. Bush’s negotiation team and not President-elect Barack Obama’s yet. “Obama is clear on change but how it will change the negotiating policy, we can’t know till we see it," said the official.